“By Your own Blood, Lord, You brought us back to God; from every tribe and tongue, and people and nation, You made us a kingdom for our God (Evening Antiphon, All Saints’ Day Liturgy of the Hours). Writing this at about midnight, I seem to have one foot in yesterday and the other in tomorrow. 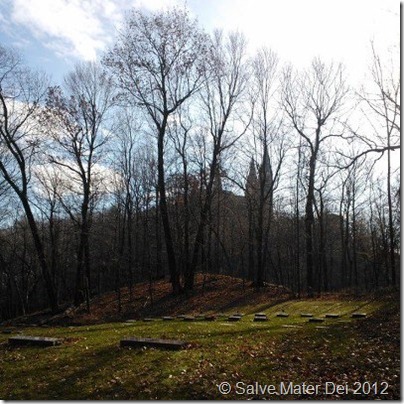 These two days, November 14 and November 15, bear significance for Discalced Carmelites. On November 14th, they celebrate the Feast of All Carmelite Saints, and likewise, the 15this traditionally celebrated as the Feast of All Carmelite Souls. At this midpoint in November, we are again called to focus our attention on the magnificent doctrine of the Communion of Saints. We honor those men and women of heroic virtue who have persevered in faith, and with an abiding love for Christ, have kept their baptismal garments pure. Likewise we pray for those brothers and sisters in Christ who have been called from this earthly existence, yet whose imperfect character has temporarily deprived them of the glorious Beatific Vision. We are cognizant that these beloved souls are engaged in a process of purification, and that our prayers may assist them. 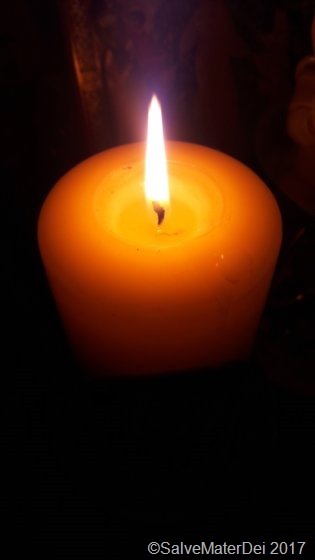 As we pray for the beloved souls in Purgatory, we are reminded of the need to remain in a state of grace for that moment when we shall meet God face to face. Thus, while glorifying God for the graces He has lavished upon both the Saints Triumphant and the Suffering Souls in Purgatory, we also contemplate the fragility of our own mortal flesh, and gaze momentarily into the vastness of eternity. While our All-loving God has created us with the ultimate solitary purpose of delighting in Eternal Bliss with Him in Paradise, He has also given each of us a free will. We each have the marvelous gift to choose to spend eternity with Him in perpetual joy, or to permanently sever our bond with God, and spend Eternity far from the abyss of His merciful love. Our destiny depends upon the path we take, and the choice is truly ours. Fortified with the doctrine of the Communion of Saints, we realize that our all-loving God has provided us with the gift of companions on this journey. Not only are there companions who breathe the same air we do, and walk the face of the earth in the space and time that we share, but there are also companions who have already labored through life, and who now desire to assist us with their wisdom and prayers, as they inhabit an existence which transcends earthly space and time. For those of us who are drawn to Carmelite sanctity, the companions are myriad. The life of each Carmelite saint reflects a unique aspect of the Carmelite spirituality; and studying their lives affords one the opportunity to apply their inimitable virtues to her own life. In my own life, I have discovered these Carmelite Companions to be an invaluable source of spiritual blessing. From the Holy Mother, St. Teresa of Jesus, I seek to learn how to pray. St. Teresa of Avila, the great Carmelite reformer, is a magnificent teacher. I turn to St. Teresa, the great Doctor of the Church, via her writings, especially her autobiography (Life of St. Teresa), The Way of Perfection, and The Interior Castle. The more time I spend with St. Teresa, the more I find my prayer life does indeed deepen. 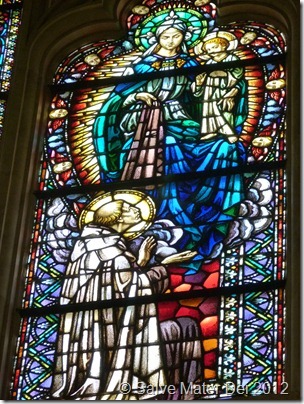 Much of St. Teresa’s writings were penned as counsel for her sisters; guides to teach them how to pray. Her approachable manner allows the reader to comprehend theologically rigorous material with refreshing clarity. St. Teresa’s wisdom and guidance on this journey are incomparable. Though not even canonized as a Blessed, Brother Lawrence of the Resurrection (1614-1691) remains one of the most influential Carmelite companions on my journey to the foot of the Throne of the Almighty. The letters of the wise lay-brother were collected and published into a book entitled, Practicing the Presence of God. I had the grace to stumble upon this volume in college, and it profoundly impacted the way I viewed my relationship with God. Through Brother Lawrence’s eyes, I continue to develop a more intimate relationship with Christ, and strive daily to recognize His presence in my mundane life. St. Therese of the Child Jesus and the Holy Face has taught me how to turn my miniscule deeds into gifts for God. The “Little Way” of this beloved Doctor of the Church is so relevant to my life! Like Therese, harsh penances scare me, and heroic deeds are well beyond my limited capabilities. However, like her, I long to give my best to God, and through her writings in The Story of a Soul, I find hope that my insignificant human struggles are actually valued by my Loving Creator. I love her passion, and resonate with her temper. Therese learned to channel those tempestuous qualities into a “Zeal for the Lord God of Hosts”. Following her example, I too hope to one day find my turbulent temperament has truly rested in the peace of Christ. 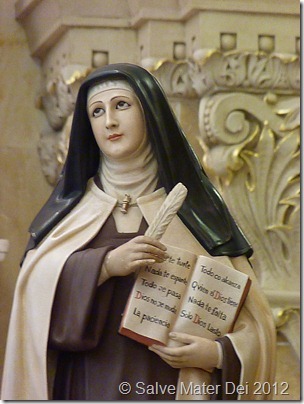 The young St. Teresa of the Andes is another of my favorite Carmelite companions. Through her biography, God, the Joy of My Soul, I am learning how our Lord gently calls us to love. In St. Teresa of the Andes, I see a paradox of youthful exuberance and mature spiritual depth. Reading her biography has caused me to become more cognizant of spiritual depth of others – especially the depth that is present in children and young adults. I see their innocence and joy, as they approach the omnipotence of God, and it makes me yearn to approach Him with these virtues as well. I have learned that I am better equipped to nurture the spiritual inclinations of my own children, when I view their intimacy with God in awe and wonder. St. John of the Cross has taught me the value of suffering. Through his collected works, including the Dark Night of the Soul, I have come to realize that intimacy with God is not reflected in consolations and cozy feelings. When St. Paul tells us to “work out your salvation with fear and trembling (Philippians 2:12),” it is clear that we are not promised a warm fuzzy feeling as a reward for union with Christ. Through St. John of the Cross, I begin to grasp the essential role of the cross in my own life, and take ever-so-tiny steps to embrace that cross, and follow the Wisdom Who has wrought it for my salvation. 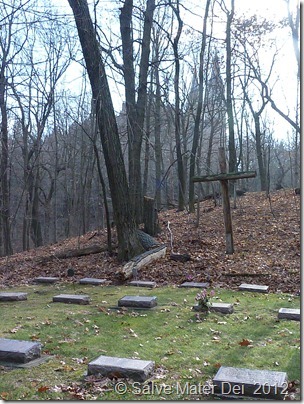 The extraordinary St. Teresa Benedicta of the Cross is a special companion on my journey. Philosophically, Phenomenology has never been my cup of tea. I avoided it like the plague in graduate school. However, I have learned much from this learned Carmelite philosopher. 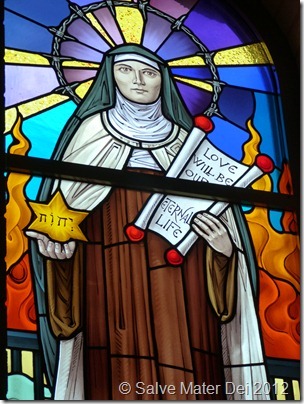 Edith Stein was born a Jew, and later became an atheist. However, her unquenchable desire for True Wisdom allowed her to reason her way to God. She possessed a magnificent mind and after earning a doctorate in Philosophy, she studied with world-renowned academic philosophers. Yet, academic success did not quell the longing of her soul. One night, Edith stumbled upon a copy of St. Teresa of Avila’s autobiography- she devoured it, finishing it that very night. Finding it to be the truth, her soul found rest. Edith Stein was baptized, and she soon entered Carmel as Sr. Teresa Benedicta of the Cross, and wholly surrendered her life to God. As the Nazi regime hunted both St. Teresa and her sister Rosa (who had also become a Carmelite sister) that act of total surrender would profoundly demonstrate the glory of the One to Whom she had become espoused. In the days preceding her death in Auschwitz, St. Teresa cared for the children and other inmates with gentleness and joy. She reflected Christ’s mercy even in the shadow of the gas chambers. St. Teresa Benedicta of the Cross continues to teach me the value of courageous daily surrender to the Will of God. My favorite Carmelite Saint is Blessed Elizabeth of the Trinity, whose feast we celebrated just last week on November 9. 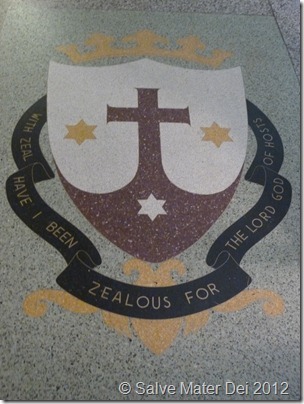 Blessed Elizabeth was born in a military camp in Avor, France. She lost her father at the tender age of 7, and lived in a comfortable middle-class environment with her mother and sister. Elizabeth was an accomplished pianist, and had been sent to study music at the conservatory in Dijon when she was a mere 8 years of age. She would practice for 5-6 hours a day, and was no stranger to diligent study. Though music and laughter were abundant in her life, she possessed philosophical and theological depth. From the time of her First Holy Communion, St. Elizabeth desired to give herself completely to God. In her teens, she became mystically aware of the indwelling presence of the Most Blessed Trinity. Her entire life would become a living prayer to the Trinity, Whom she truly understood lived within the depths of her soul. Elizabeth realized that as the Trinitarian God dwelled within her soul, the door to Heaven was in an authentic way, her very heart. I love the way she expressed this reality through her letters, and highly recommend these valuable spiritual writings which can be found published in the Complete Works of Elizabeth of the Trinity. The Canon of Carmelite Saints is replete with heroes, martyrs and mystics. 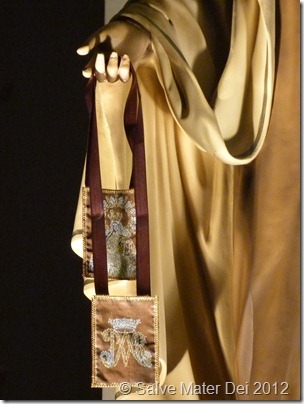 St. Simon Stock, whose vision of Our Lady of Mount Carmel has given us the Brown Scapular as a protective garment of grace is a favorite patron to many. Among my personal favorites are the brave martyrs of Compiegne. These 16 Carmelite sisters ascended the scaffold of the guillotine in Paris on July 17, 1794 signing the Veni Creator Spiritusand professing their vows in defiance of Robespierre’s Revolutionary Government. Their pure oblation is credited with ending the Reign of Terror a mere 10 days later. The ranks of powerful celestial Carmelite companions are enormous. These intercessors have so much to teach us as we work out our salvation with fear and trembling, winding our way along the path to Eternity. 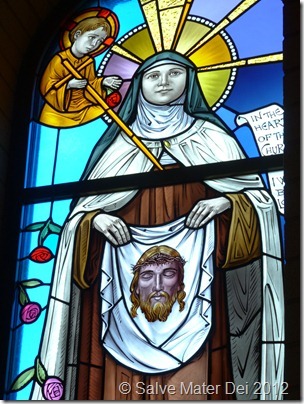 Yet while the number of canonized Carmelite saints is extensive, even larger is the number of hidden Carmelite saints; those who have labored quietly, living solely for Christ, and Him Crucified. Even greater still is the number of holy Carmelite men and women, engaged in the task of Purgatorial purification, whose prayers can benefit us greatly. Through these two days, as we celebrate their merits, and glorify God their Creator, let us endeavor to emulate their virtues in the hope of one day joining them all in Paradise. As we thank God for our Carmelite Saints, let us also petition Him for the repose of the souls of those Carmelites in Purgatory. With them, let us remain Zealous with Zeal for the Lord God of Hosts.